A while back, I shared an article giving you the skinny on fats. 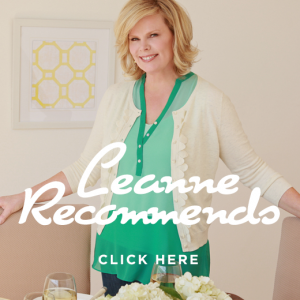 I gave you an overview of good fats, information about how to use them and what fats and oils I don’t recommend. Once upon a time (in the 80s and 90s), we were told that butter was evil. We were also told that margarine would lower blood pressure and cholesterol. And, that it would help us to lose weight; it would make us healthy. This is not true. None of it. We certainly weren’t told that vegetable oil-based margarine would actually increase our risk of developing cancer and heart disease. Margarine is made from vegetable oils—oils that are chemically extracted from soybeans, rapeseeds (canola oil), sunflowers, corn, safflowers, etc. Vegetable oils really didn’t exist in the food chain until the 1900s when new technology allowed for chemical processes to extract these oils. Chemical processing is required in order for these oils to exist. They come from factories where seeds from genetically modified crops (which have been treated with pesticides) are processed until they resemble oil. In the production of canola oil, rapeseeds are heated and processed with petroleum solvents in order to extract the oil. Acid is then added to get rid of wax and other unappealing solids that come from the first process, and then there’s more heating. Chemicals are needed at this point in order to make the color a bit more appetizing. Because the smell after all this processing is quite nasty, chemical deodorants are also added. Now, if this canola oil is to be transformed into margarine, it needs to be made solid, so it has to undergo more processing known as hydrogenation. See, unlike natural saturated fats like butter and coconut oil, which are solid at cold temperatures, vegetable oil is a liquid. So, through this hydrogenation process, transfats are born. You milk a cow, let the cream separate to the top, remove the cream and shake the cream. Ta da, butter. So, if all this talk of chemicals and processing doesn’t shy you away from putting margarine on your dinner table, let me see if I can change your mind by telling you what happens once it’s in your body. The human body is not made to process man-made fats. The human body is made up of saturated and monounsaturated fats. We can not be afraid of fat. We need fat. We need fat to burn fat. We need fat to make hormones and to build cells. The body needs fats, but it can only work with the fats we give it to work with. Ever put diesel in a gasoline burning car? Doesn’t work so well, does it? Well, when we feed our bodies vegetable oils, we’re giving it polyunsaturated fats instead of the saturated and monounsaturated fats that the body recognizes. Even though our bodies don’t know what to do with it, without a recognizable alternative, we have no choice but to use that processed oil to build and repair cells. Polyunsaturated fats are very unstable. They easily oxidize inside the human body. When cells are made from polyunsaturated fats, they can become mutated (leading to an increased chance of cancer) and inflammation occurs. This inflammation can clog our arteries. Vegetable oils lead to an imbalance of Omega-3 and Omega-6 levels, which is strongly linked to cancer. The body needs a nice equal balance of Omega-3 and Omega-6 fats. Unfortunately, lots of folks eat more Omega-6 fats than Omega 3s. This is not good. Vegetable oils are high in Omega-6 fatty acids. These fats are quite easily oxidized in the body when we’re exposed to light or heat. When skin cells are fed these fats and oils and are directly exposed to the sun . . . well, you have the perfect conditions for increased skin cancer risk. I came across a study from the University of Sydney where mice who were fed saturated fats were totally protected from skin cancer after being irradiated. The mice in the group being fed polyunsaturated fats very quickly developed skin cancer. Later in the study, those mice who’d been fed saturated fats were given polyunsaturated fats and were again irradiated. They developed skin cancer. Similar studies have been conducted to show a link between vegetable oil and heart disease. 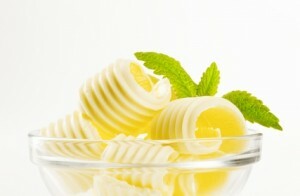 These studies show that there is a relationship between increased margarine consumption and increased heart attacks. Conversely, a correlation was also shown between increased butter consumption and a decline in heart attacks. I could go on all day about this, but I think this should be enough to open your eyes enough to start thinking about using real butter instead of man-made margarine and vegetable oils.